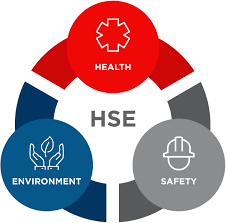 The Company is fully committed to achieving and maintaining the highest standards of Health and Safety for all of its employees, visitors and the general public by creating a safe working environment at all times, and minimizing the environmental impact caused by our operations. To identify and minimize the risk of injury and health hazard to all person who are affected by company’s activities, as required by the company, legislation and employees. To reduce by all practicable mans the number of accidents, dangerous incidents, damage to property, and hazards to health and safety at the place of work. To minimize the environmental impact by controlling waste, preventing pollution, using energy efficiently, remaining aware of hazardous materials and acting as good neighbors. Comply with all applicable laws and regulations and any other requirements to which the company subscribers in order to provide a safe working environment. Strive to continually improve the Health, Safety and Environmental performance of the company. Provide safety advice and expertise to assists all employees to undertake their work in a safe and responsible manner.